I didn't make this scan, I found it on a picture board site a little while ago. This is Yotsuba from Yotsubato! 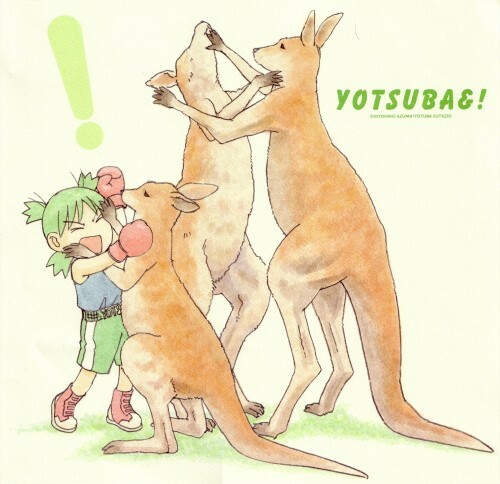 (It's been brought to the US as Yotsuba&!) a manga from the creator of Azumanga Daioh. It's from the 2005 calendar. Yotsuba is so cute, she's like Chiyo, Osaka, and Tomo rolled into one!